Jane Eyre is one of my favorite books and so I was eagerly anticipating the most recent film adaptation, especially as the trailer looked promising. I have seen a lot of film adaptations of Jane Eyre, as I once made it a sort of personal project to see a bunch of them. Sad to say, I disliked all of the above except the 2006 mini-series. Ruth Wilson was the only Jane I liked from the above actresses, the only one who seemed to capture Jane’s particular brand of quiet, direct fortitude. The 2006 version certainly made departures from the text, but to me, the departures seemed like reasonable extrapolations and teasing out of themes and implications present in the book. I kind of like filmmakers making the source material their own, as long as the story is still recognizable in its new form. Faithful adaptations (and the 1983 miniseries was very faithful) can sometimes be dull and plodding. But back to the 2011 film: I am happy to say that in this new version, Mia Wasikowska makes a wonderful Jane and Michael Fassbender is well-cast as Mr. Rochester as well. Collapsing of scenes from the book were gracefully done. The cinematography is beautiful, and the camera stays close to the composed yet expressive heroine at its center. The dialogue that is spoken is definitely familiar if you’ve read the book; actually, I actually welcomed some of the deviations, considering how many film versions I’ve seen of the story. At times, I thought the actors had some difficulty delivering the lines naturally – sometimes they really seemed like ‘lines of dialogue’ as opposed to a real conversation. But a rewatch might not yield the same judgment. The ending was not where I expected it to be, but fit well with the atmosphere of the film overall. Of course with a feature-length film, I was left wanting more, especially more Jane and Mr. Rochester scenes. The 2006 miniseries I think remains my favorite because the central relationship has time to be developed – you can clearly see how the two are such kindred spirits. But, the 2011 version is definitely the best feature-length version of Jane Eyre that I’ve seen. I will probably add it to my DVD collection once it is released. I had a library book that I returned last Monday unfinished: Helen Simonsen’s Major Pettigrew’s Last Stand. It wasn’t a bad book, but I wasn’t in the mood for it. I didn’t get very far with it – maybe 50 pages in? The writing style was very assured, but its portrayal of the two main characters and their family and society made me think of The Elegance of the Hedgehog, a book I disliked. Everyone but the two main characters seemed to be perpetrators of the ridiculous, motivated by self-interest. I not usually a fan of broadly painted characterization. For example, when the only two American characters were introduced as loud and oblivious – each in a separate instance – it was eye-rolling. That said, I do suspect that Ms. Simonsen would later give some of the minor characters unexpected depth and likability. I think the book is probably worth another shot at a later date, but it was just not engaging enough to keep my eyes from straying to other books I wanted to read more. I am down to one library book at the moment: Joe Sacco’s Safe Area Gorazde: The War in Eastern Bosnia 1992-1995. I had actually read about half of it several weeks ago, and while it was very good, I had picked it up while still in the middle of And the Band Played On. The combination of these two harrowing books was a bit heavy, a bit much. So I put Safe Area Gorazde away for a while. It’s due date is next week so I may finish it this weekend. Once I return Safe Area Gorazde, I’m planning on reading some books of my own shelves. (Library books always trump my own books when they’re around.) I’ve already started on my own shelves by picking up my copy of Donna Tartt’s The Secret History and I’m almost halfway through it. I really like it so far – great storytelling and great writing. I know it is well-loved by many readers. Justin Cronin’s The Passage – I bought this last year, thinking I would dive into it sooner than I have. I am expecting good things. The Places In Between by Rory Stewart – I liked his book, The Prince of Marshes, but it was a little slow going and hard to follow at times. I think I will like this earlier book of his better, as it is a travel narrative. The Sweetness at the Bottom of the Pie by Alan Bradley – Not sure if I will like this or not. The reviews I’ve seen have been mixed. They Were Still Born: Personal Stories of Stillbirth, Edited by Janel Atlas – I bought this book because the editor is a friend of mine. I liked hearing about how she developed the idea for this book, and then implemented it. Although the subject matter is sad, I look forward to reading the end result of all her hard work and that of the other writers whose essays are included. Inside Out by Maria Snyder – I enjoyed Snyder’s book Poison Study. This one is a young adult dystopian book. Stitches by David Small – I’m definitely more open to graphic novels than I used to be. I’ve heard excellent things about this book. The Moonpool by P.T. Deutermann – 3rd in the gritty North Carolina-based Cam Richter series. I was flipping my pages through the first two, so I hope this one is as engaging. Our Mutual Friend by Charles Dickens – I haven’t read older classics much this year. 2006. Little, Brown & Co. Hardcover. 193 pages. 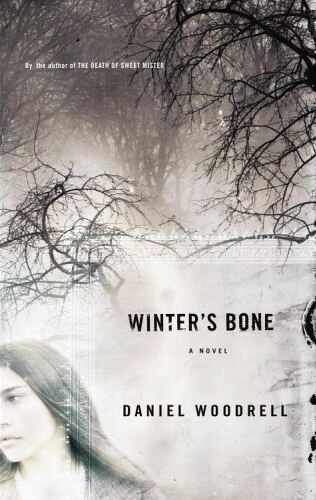 I first read Winter’s Bone back in December 2006 and thought it was one of the best books I had read that year. After seeing and liking the recent film adaptation, I had a desire to re-read the book. The story, set in the Ozarks, is compelling: 16-year-old Ree Dolly must find out what has happened to her meth-cooking father, Jessup. After signing the family home and land over to make bail bond, Jessup has gone missing. Ree’s mother is mentally ill and Ree’s brothers are too young to fend for themselves, and so Ree is desperate to keep her family from being homeless. When the teenager starts stubbornly asking questions, however, she is visited by trouble. Re-reading Winter’s Bone, I enjoyed the story and the spirit of Ree Dolly as much as ever. But now I was paying more attention to the skilled and atmospheric writing, and to some of the more understated plotlines and character relationships. Even though the book is set in a real place – in the Ozarks – Woodrell made me feel that Ree’s world is not part of a greater entity, of the United States. Ree’s references to her clan’s past do not neatly attach themselves to reference points in American history. The origin story about how her ancestors came to this land, as recalled by Ree, is not marked by dates, or national ties, but is told more like a myth. It gave the setting a not-unpleasant disoriented feel. And Ree herself, while certainly a character that a reader can root for and like, is also definitely a product of this remote rural community. Woodrell lets us into her head, and for every point of understanding her, I also encountered a pattern of thinking that was mysterious and different. Ree has long been in a survivalist mode, and so her reactions are not that of a ‘normal’ person facing a crisis, but of one who has already been kicked about by life. It makes her a very fresh character to my eyes, even on this second time experiencing her story. Woodrell’s gorgeous, poetic writing accomplishes all this. And, to be clear, I don’t mean gorgeous as in merely pretty and decorative. And I don’t mean poetic as in lost in its own language. It’s a bracing, fearless writing style, suited to the cold wintry setting. Thump Milton loomed over Ree, a fabled man, his face a monument of Ozark stone, with juts and angles and cold shaded parts the sun never touched. His spade beard was aged gray but his movements were young. He crouched, grabbed her chin, and turned her head from side to side, inspecting the damage. He was bigger than she’d thought, hands strong as stormwater rushing. His eyes went inside you to the depths without asking and helped themselves to anything they wanted. On this re-read, the relationship between Ree and her best friend Gail seemed more at the forefront than I’d noticed before. The two were friends since childhood, a close intimate bond that had been recently shaken by Gail’s recent marriage and baby. Gail was knocked up by a boy while he was cheating on his steady girlfriend, and so at parental and societal behest, the two teenagers married. In this time of crisis, however, Gail (with infant son in tow) is at Ree’s side and is an invaluable emotional ballast. It is clear, I think, that Ree loves Gail and it was interesting to read the nuances of this relationship as it completes its own arc in parallel to the main story arc. The other fascinating relationship is between Ree and her Uncle Teardrop, her father’s intimidating brother. I think this aspect was played out wonderfully in the movie, and I came to my re-reading with actor John Hawkes’ portrayal of Teardrop in my mind. He’s the one almost father-figure available to Ree during the course of the story, and I liked how Woodrell develops their relationship. I’m reluctant to bring this book back to the library today (it was due yesterday, oops). Writing this review almost makes me want to tear through it again, but in place of that, you all should go out and read it. It’s so short that you have no excuse. Then you can go watch the movie if you haven’t already. 1987. St. Martin’s Press. Paperback. 630 pages. Recommended by: Jenny of Jenny’s Books within a review of Dave Cullen’s Columbine. 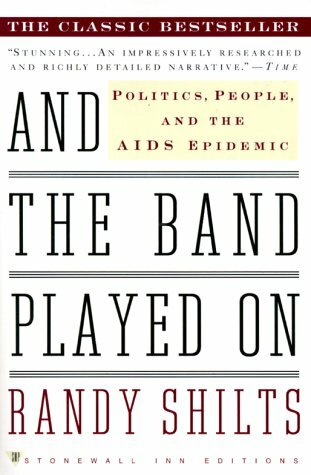 Journalist Randy Shilts describes, in detail, the course of the AIDS epidemic in America from 1980 to 1985. I’ve been living with And the Band Played On for the last three weeks, carting it around on metro rides, opening it up for a few pages’ worth before going to bed. I have been compulsively telling my friends the exasperating details of how the AIDS epidemic was mishandled by so many. And the Band Played On is a long book, no doubt about it. It’s helpfully written in short, energetic chunks: Shilts dashes around from East Coast to West Coast, jumping from the developments of the Center for Disease Control in Atlanta, to the different political and public health atmospheres of New York City and San Francisco, to the scientific research being conducted in Maryland and Paris. This is a long book where the length itself serves a purpose. It may seem repetitious to read about yet another funds request denied by the government, or yet another Gay Men’s Health Crisis committee meeting that ended in tension and frustration. To me, however, reading such a detailed account about AIDS had the effect of making me vicariously feel the frustration those in trenches must have felt, as they suffered through years of the illness being dismissed or ignored, even while more and more people died. True, I could have learned the outline of events and problems through a shorter book, but the impact emotionally would not have been the same. And The Band Played On is a highly passionate book. Shilts indicts many for their prioritizing of political capital, prestige and other pursuits over the lives of those at great risk for AIDS. Among his targets are: The Reagan administration, the National Institute of Health, certain gay political leaders in San Francisco and New York City, journalists, and the blood bank industry (including the Red Cross). At a congressional hearing, a man with AIDS says he hopes that his epitaph “would not read that I died of red tape.” Bureaucracy is a wall against which urgent need knocks and knocks again. Shilts’ passion also is displayed in his passages that detail the lives and deaths of the people with AIDS. I was especially moved by the story of Gary Walsh. I picked up this book because fellow blogger Jenny said: “If you are ever going to read a book about a national tragedy, it should be And the Band Played On.” I am so glad I took up her recommendation, because this is truly an unforgettable book. Not only did I learn so much about what happened with the AIDS epidemic at the start, but it made me think about what role I would have played if I had been in the thick of it. Would I have too easily succumbed to the bureaucracy or would I have taken risks to do what was right? Don Francis pounded the table with his fist. The other officials from the Centers for Disease Control exchanged vaguely embarrassed glances. The blood bankers were becoming visibly angry. Despair is what I hear in Gary’s voice tonight . . . He has just reason for despair. He fell down three times today when his legs simply gave out on him. He had an infection in one eye and now the same infection in the other eye . . . I wonder how he can sustain this relentless series of devastating and painful illnesses. Horribly, I recognize that dark corner in my mind that wishes it were all over and I could talk about Gary and his illnesses in the past tense. Reggie’s Reviews – Accounts of historical events and publicly verifiable facts are mixed with imaginative reconstructions of meetings and conversations that Shilts was not privy to . . . Shilts should have decided whether he wanted to write a novel or a non-fiction account, and then stuck with it. All the same, the book is a monumental achievement, well deserving of its acclaim. Please click on photo for credit. 1997. Random House. Hardcover. 274 pages. Recommended by: Eva of A Striped Armchair in her Assembling my Atheneum post about A. S. Byatt. She recommended The Djinn in the Nightingale’s Eye for Byatt newbies who wanted to start with something shorter than the well-known but hefty Possession. “The Glass Coffin” and “The Eldest Princess” are stories that have fairytale trappings but are inhabited by protagonists who realize that they are in a fairytale scenario and this influences their actions. They know how things “worked in stories” and use this knowledge to their advantage. “The Eldest Princess” is my favorite of the five stories in this book. Sent on a quest, the eldest princess knows that by the rules of fairytale, the eldest princess never succeeds on the quest but is usually turned to stone or similar fate. With the help of some unlikely companions, the eldest princess works to change her destiny. “Gode’s Story” is about two prideful people and the fall-out of their relationship. It has a folktale feel. To tell the truth, I didn’t get the point or appeal of this story at all and it got very strange at the end. As with the first two stories I mentioned, “Dragon’s Breath” is about the relationship between life and stories. A village fails to realize its impending doom from an approaching dragon and when the villagers escape, it’s without a plan and with much panic. It’s a bit forgettable, although I appreciated it as I was reading it. In the title story, The Djinn in the Nightingale’s Eye, the main character – Gillian – is an English narratologist and professor, who studies and collects stories from around the world. The story begins when Gillian is at a conference in Turkey. Narratologist friends from Turkey show her around – take her to see Hagia Sophia, Ephesus, etc. and amongst the descriptions of place, Byatt includes stories retold by the characters, and the main character’s thoughts about narrative. This structure reminded me of what I’d heard about the structure of Byatt’s The Children’s Book, which I haven’t read. Maybe midway through the story, Gillian is given a glass bottle as a gift, as she is fond of glass paperweights. When she opens the old bottle, a djinn is released with the power to grant her three wishes. Gillian and the djinn also swap stories from their personal lives. One thing I appreciated about the title story is the contrast between the djinn’s style of story and Gillian’s style of story when they talk about themselves. The djinn doesn’t understand the modern concept of story, where there is no conclusive end. Unfortunately, the title story didn’t fully engage me overall. I do think Byatt is a good writer and I like how she articulates themes about storytelling. I just didn’t feel compelled to keep reading the title story for its own sake. I finished the story so that I would complete the book. I feel like this review is not the greatest, but I had a hard time thinking of what to say exactly about the whole collection. As for Byatt’s other works, I am interested in Possession, but not sure I would want to tackle The Children’s Book, which seems the more divisive of the two Byatt tomes. I haven’t participated in the weekly Book Blogger Hop in a while. 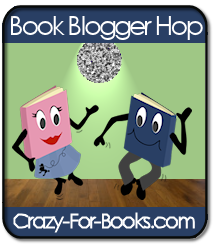 It’s a meme hosted by Crazy-for-Books, where book bloggers connect with each other, visiting each other’s blogs. Due to time constraints, I have a limited list of blogs that I subscribe to, so it’s fun to roam outside of that group and see what other book bloggers are talking about. This week’s Blog Hop question is: Who is your all-time favorite book villain? I’m not sure I can pinpoint my all-time favorite book villain, but here is a favorite from my childhood: Ferahgo the Assassin from Brian Jacques’ Salamandastron. Maybe because Brian Jacques passed away recently, this book popped to mind. In Salamandastron, Ferahgo the Assassin was an evil weasel who plundered and killed his way through Jacques’ Redwall universe, until a climactic confrontation with badgers in a mountain fortress. It was one of those cases where the villain is more interesting in his evilness than the comparatively bland good characters he is fighting against. I remember being disappointed when one of Ferahgo’s clever schemes was quickly figured out by the lead badger. I wanted the bad guy to catch the good guys by surprise at least one time. It’s kind of the Sylvester-and-Tweety syndrome for me: I always thought Tweety was too smug and smirky for his own good, and wouldn’t have minded him having too close of a call with Sylvester. 2010. Scholastic Press. Hardcover. 392 pages. This is #3 of the popular Hunger Games trilogy, so I’ll skip a synopsis. However, if you aren’t familiar with the trilogy, I direct you to my spoiler-free review of the first book. 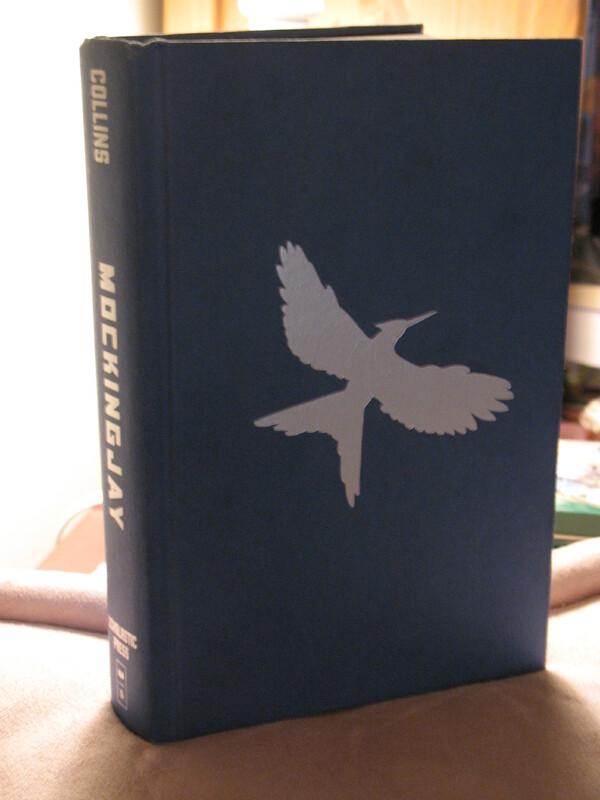 After hearing that I was on my library’s waitlist for Mockingjay, a co-worker immediately volunteered to lend me her copy. Ironically, the waiting list at my library subsequently sped up and the library copy became available to me the day after I finished reading my co-worker’s copy. Mockingjay also escalates its theme of propaganda, and the power of words and images to sway people. Katniss has reluctantly become the symbol of revolution, but the Capitol has a strike-back propaganda strategy which may crush her mental and emotional strength. As if that was not enough, Katniss also worries about becoming a pawn for the rebel leaders, whose motives she does not trust completely. We’re introduced to some great new characters such as military leader Boggs and propaganda director Cressida and characters from the first and second books are developed further, such as fellow Games victors, Finnick and Johanna. I really admire Collins’ ability to make all of the characters interesting. In particular, I love that Katniss is surrounded by characters who have just as much to contribute as she does. Although Katniss is awesome in many respects, Collins isn’t afraid to humble her using another character’s insight or generosity. As for the love triangle, it’s present but doesn’t overwhelm the story with unnecessary angst. To me, it’s been pretty clear from the first book who Collins was setting up to be the ‘right’ guy for Katniss. However, it has not been at all clear as to whether either he will survive the events of the trilogy. Collins really puts her characters through the wringer physically, emotionally and mentally. One last thing: it is rare that songs in novels work for me. I usually skip reading them in Lord of the Rings for example. However, I felt that both of the songs created for the Hunger Games trilogy – Katniss’ lullaby she sang to Rue in the first book, and the Hanging Tree song – really added a lot to the books’ atmosphere. I’m pretty sure I will get my own copies someday so that I can re-read this memorable trilogy down the line.